Los Angeles Business Litigation attorney Robert G. Klein is practiced in all manner of business law, and he can help your company handle a wide variety of business torts. Your company may have been the victim of a competitor’s undermining business practices. You or your company may have been the victim of a trade secret violation, or you may be accused of violating trade secrets. Your company may be implicated in a lawsuit involving a strategic partner. If that is the case, seeking help from a Los Angeles business torts attorney is advised. Business torts, likewise called as “monetary/economic torts,” are the negative acts performed intentionally or sometimes due to the negligence or recklessness of the business elements resulting in money related misfortune. These are not criminal offenses, whereas some business torts might be charged as such. Organizations that are fiscally harmed through the deliberate or careless demonstration of another business or individual may look for money related harms in common court. These business torts cannot just harm the presence of a certain company but it may affect the future of the business deals as the losses/profits inspire the other party to change their decision accordingly. 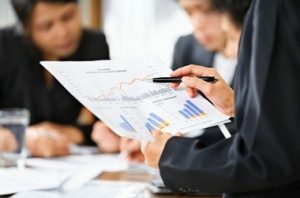 For example, one of the most common business torts is computer torts where business is hurt when computer hardware or software is intentionally damaged so that previous records or current situation cannot be measured in terms of success and profit. Similarly, negligence while using the computer may also fall into business torts. Succeeding in a business tort requires the legal agility to properly represent your company’s case for damages. Your tort demands thorough research with clear proof of damage. The fine points of business law must be presented in a manner that a judge and jury can clearly understand. Whatever your circumstance, Los Angeles business attorney Robert G. Klein is available to provide the legal representation that your company or corporation requires. He has 25 years of experience in dealing with a range of professional organizations and is ready to offer the legal acumen best suited to your company’s situation. His years of experience make him one of the best Los Angeles Torts Lawyers in the area. Contact our business attorney today if you are facing a business tort or lawsuit; we can be reached by calling (323) 405-1002, or by filling out the confidential contact form on the side of the page. Our Los Angeles Business Torts Attorneys are the best in terms of guiding and helping you out if you are at a crucial or initial stage of a business loss. There is no charge for the first consultation. You can also visit our office in Beverly Hills, CA.